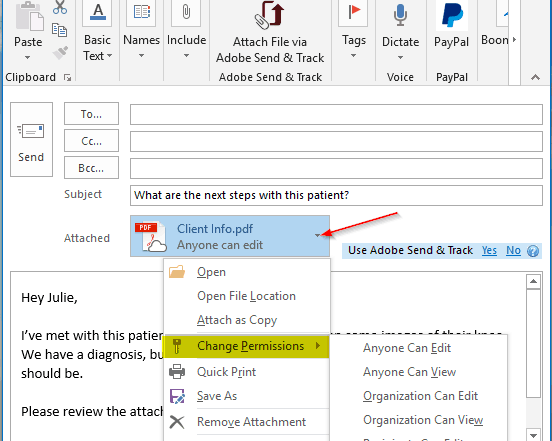 Outlook extensions can change how you do business entirely. I’ve found some extensions that have improved my workflow immensely. Some notable ones are Boomerang (mail delivery scheduler and templates), Wunderlist Integration, FindTime (meeting time schedule helper) and there is even a Starbucks add-in, if your addiction has made it as far as mine. Currently I have to discover and test and learn about all these different add-ins, and there are THOUSANDS of them. However I do enjoy tinkering with these because I can bring useful apps to our friends and family. Now, Microsoft has made it possible for your IT provider, like Matchless IT, to setup Outlook Add-ins across the company. For instance, if your team uses Slack to communicate, the nerds in IT can set that up for everyone in one shot. This way your team has a unified experience and you can be sure they are being as efficient as possible with their time. It also has potential to reduce the number of programs you use on a daily basis. 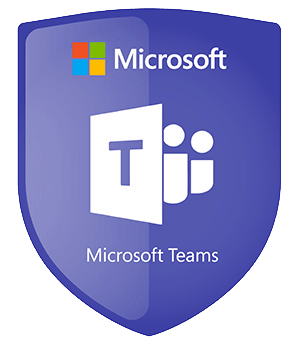 If you’re a OneDrive, SharePoint and/or Teams user then you already know about how many great features these apps have and how tightly they’re integrated. Microsoft continues to raise the bar, and doing so very quickly, and is adding functionality to view a lot more file types – directly in these applications. Now you can view files for things like Photoshop and Illustrator, 3D file types (not all, but getting there), Medical Imaging document files and on and on it goes. Do keep in mind, this is for file viewing only. You won’t get Photoshop for free if you have these Microsoft applications, but you will be able to review more of what you need. You can do this directly online as well as in the desktop applications, and you don’t even need to do anything for these features. Once it’s your turn for the update, it just happens like magic. For a full list of supported file types, visit the official Microsoft page for this announcement. If you’re an avid pen user on your Microsoft tablet like I am, you’re going to LOVE this. Some of the Microsoft Office applications are now able to convert your drawing into a professional version of the shape you’re drawing. The only question is, will it actually understand my horrible attempts at drawing…. For more info, check out this official Microsoft site. In the drop down, select an application and you’ll get some instructions on how to do this. Are you the kind of person that hates typing? Or is it just not your strong suit? It’s ok – honestly. I was programming for 5 years before I finally learned how to properly type (I HIGHLY recommend online typing courses – even I have taken them), so don’t be discouraged if you’re not a great typist. Why? Some people are familiar with expensive dictation software that has nothing but problems and takes years (it feels like) of voice training. Just hope you don’t have to do a full reinstall of one of these apps and re-train them again. Yet another official Microsoft page to give you the what’s what on the dictation. I haven’t covered everything Microsoft has released as of late because well, that might be impossible. I’m pretty sure they’ve released 2 new applications, 15 new security features and 5 infrastructure updates in the time it took me to write this story. If you’re not on Office 365 yet, you’re missing out on a revolution. Since Microsoft has released the Feedback Hub, we as users finally have a voice in what is being added to the products we use to run our businesses and our lives. The updates you have just read about have all been sparked by user input. Microsoft has become a real stand-up company – if you haven’t looked at them in a while, definitely give them a peek. Apple or Windows, iPhone or Android, all the ones I didn’t list – Microsoft is compatible with it all. Want to talk more about Office 365? Feel free to ask for me!